Can A Collection Agency Call My Place Of Employment? This is question that I receive a lot. Debt collectors are fond of calling people at their job. And the reason why is simple: when the collector calls your place of employment, they know that you could get into hot water as a result; at the very least, you will likely feel embarrassment. So the incentive behind calling you there is not so much to track you down and let you know how much you owe a debt. Rather, it is to try and humiliate you. The body of law that covers this particular area is called the Fair Debt Collection Practices Act (FDCPA). This federal statute regulates what a collection agency can and can’t do in their attempts to collect on a debt. For instance, federal law makes it a violation if the debt collector is calling you on your cell phone; or if they leave threatening messages; or they do not identify themselves as a collector; or if they continuously call your friends and family members; or if they call your home phone continuously throughout the day; and in some cases, if they call your work. The law basically states that the collector has ‘one free shot’ to determine your location or whereabouts by way of a call to your job. So if in fact the collection agency has no idea where you are, but they do have access to your work number, then they can give that number a call. But if they do this, the debt collector still has to play by the rules governed by federal law. As such, the collector is not at liberty to announce itself as a debt collection agency to the person who answers the phone. They may ask to speak to the person they are trying to reach, but they may not provide specific details as to why they are calling (in other words, if the secretary answers the phone, the collector can’t dive right in about you and the debts that you owe). Of course, many people work at places that do not like when debt collectors call about your personal matters (they’d much rather you concentrate on your job duties than mess around with some agency). So if the debt collector is made aware of the fact that calling your place of employment will or has caused problems for you and your boss, then the collection agency is not supposed to ever call again. Or if you simply instruct the debt collector to never call again to your place of work, they are not supposed to ever call there again. But it is very often the case that, even when given a specific instruction not to call your job ever again, they continue to do so. This is a clear violation of the Act, and therefore a violation of your federal rights under this consumer protection law. If such a violation can be shown to have occurred, then the resulting damages are usually in the amount of around $1,000 that have to be paid to you. And because of the way in which the law is written, it is the collection agency that will have to pay your attorney fees. This means that there is no upfront cost to you to hire an attorney and get the suit filed against the debt collector. It is also possible to file a St. Louis Chapter 7 bankruptcy or a St. Louis Chapter 13 bankruptcy to get rid of the rest of your unsecured debt (things like credit cards, medical bills, and payday loans). 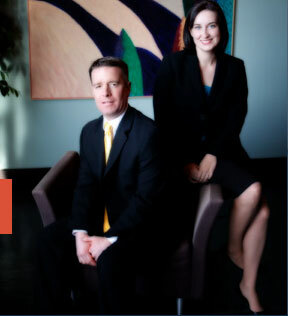 The affordable St. Louis bankruptcy lawyers at Brinkman & Alter, LLC have been protecting people against the illegal conduct that collection agencies engage in for years. Our goal is to make sure that your rights are upheld, and that all your needs are met.